Our first official fundraiser is here! 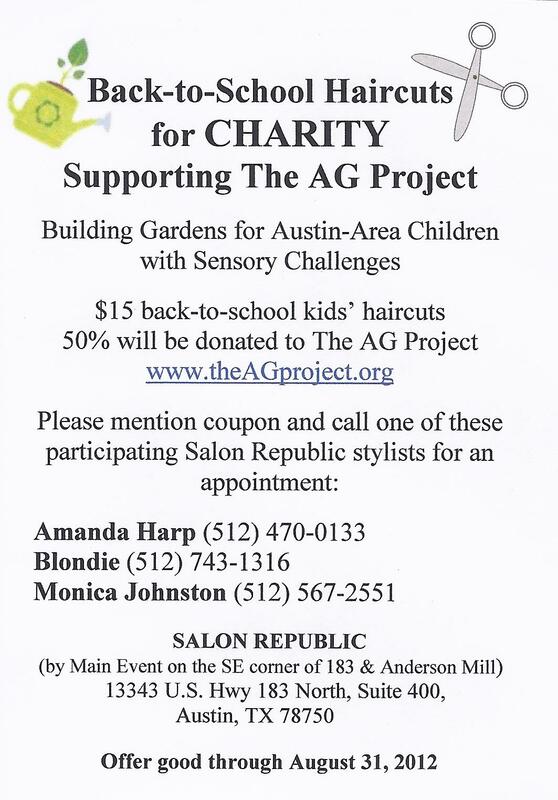 Thank you to Amanda, Blondie, and Monica at Salon Republic in Austin, TX for partnering with us to offer these great kids’ haircuts at a good price to benefit The AG Project. We really appreciate their support! If you’d like to support the project, please call for an August appointment and print off this coupon to take with you. Each haircut will raise a $7.50 donation. THANK YOU for your interest in The AG Project and helping to build sensory gardens for local schools!